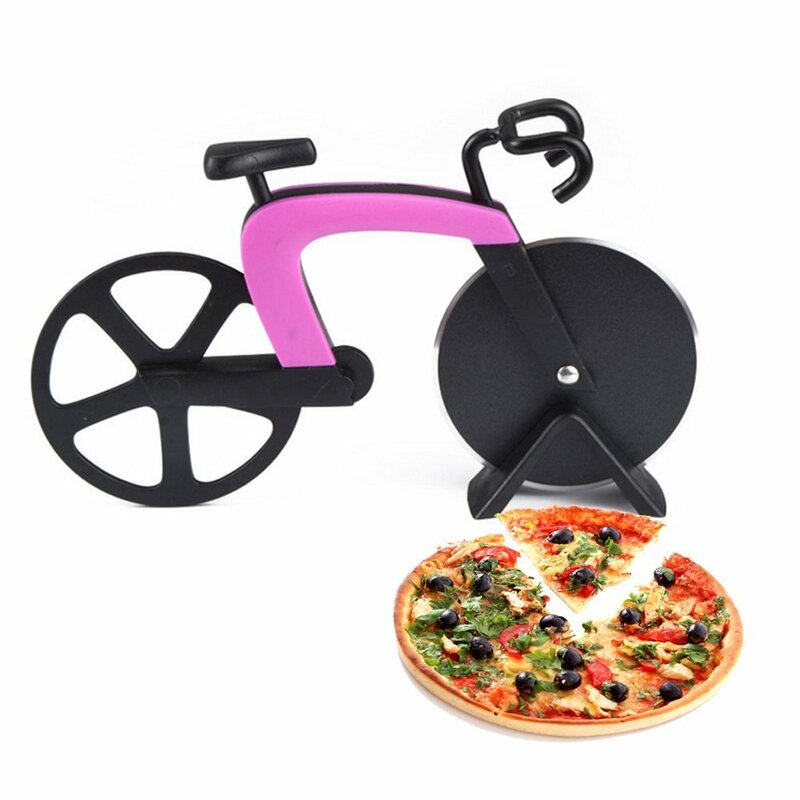 If You love Pizza As much as I Do, Then This Bicycle Cutter Is A Must. What a cosmopolitan way to slice a pie! 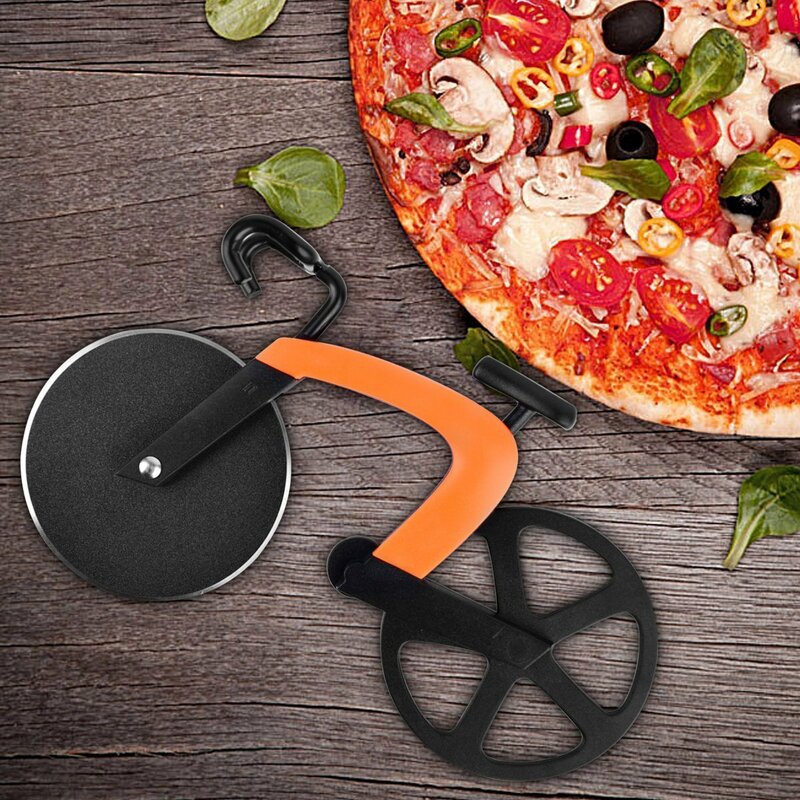 Durable stainless steel, double-wheel pizza cutter will take you on a gastronomic tour from crust to crust. Includes stand. Hand wash.
Get a fashionable kitchen accessory to make your friends and family enjoy the fun of cut and eat pizza! STAINLESS STEEL WHEEL - Front stainless steel wheel ensures precision cutting and slicing, fast and effortless wheel cutting without ruining the surface. FUN TIME - Enjoy cutting your favorite pizza and sharing with family and friends. 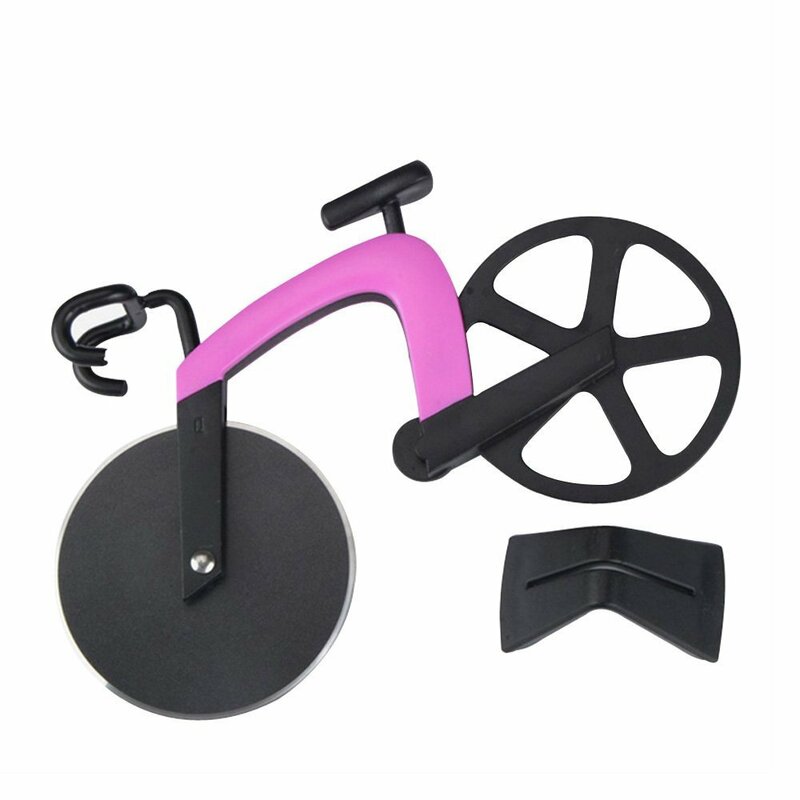 This red-hot bike includes a stand for display. 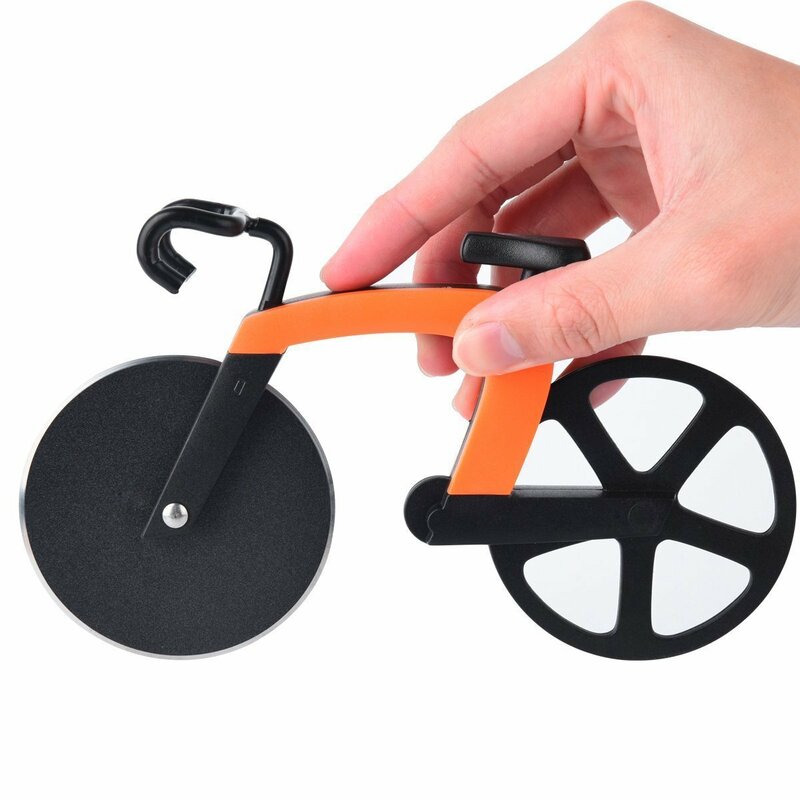 EASY TO CLEAN -Stainless steel wheels with a sharp non-stick edge, easy to clean. Hand wash only. 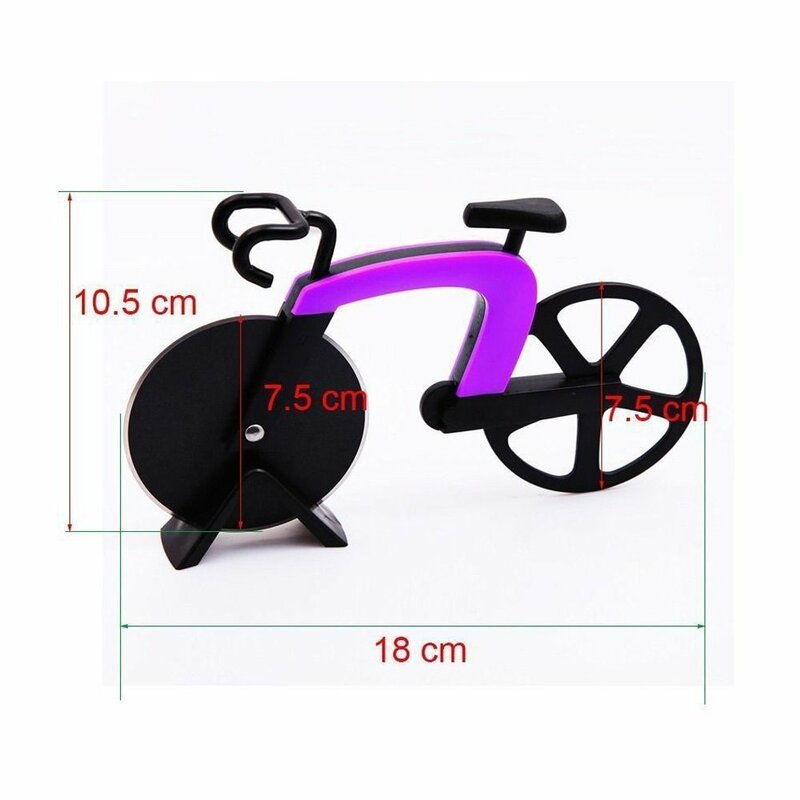 FASHIONABLE & COOL LIFELIKE DESIGN - 1/10th scale of a real life road bike, details including frame, wheels, seat and handle bars. Mini-sized it’s portable to take anywhere you want. Tips: Please be aware that there might be difference between the phsyical items and pictures because of varied monitoring and light,and the size might differ from 1-2cm according to manual measurement.